Audi says the e-tron quattro concept provides a clear indication of its first battery powered SUV. FRANKFURT -- Audi aims to have three electric models by 2020 and for electric vehicles to account for 25 to 30 percent of its sales by 2025, CEO Rupert Stadler told a German newspaper. Under the plan, which Stadler presented to Audi managers last week, the group will focus more resources on electric cars, digital services and autonomous driving. Stadler told daily Heilbronner Stimme in an interview published on Saturday that Audi's offering of electric cars would also include small vehicles in the A-(minicar) segment. Audi was still looking for joint venture partners who would help with the technology, he said. Audi's electric cars push, reported by Reuters earlier this week, is part of a strategic overhaul following the emissions scandal at parent Volkswagen Group. 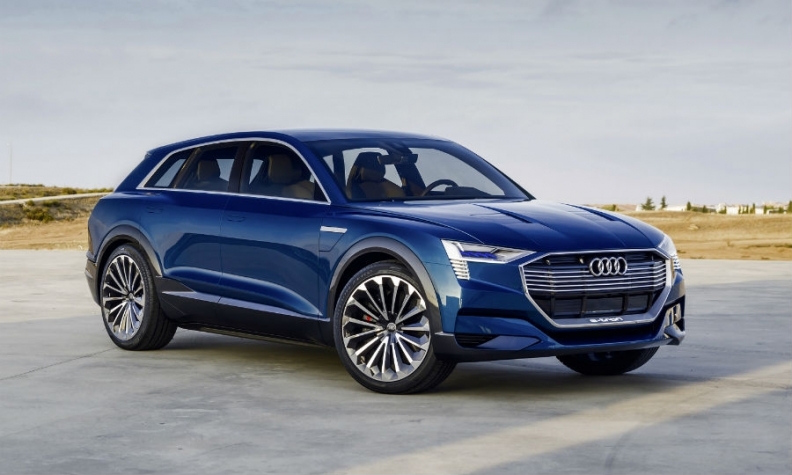 Audi has so far said it will build an electric SUV at its plant in Belgium based on the e-tron quattro concept unveiled at the 2015 Frankfurt auto show. "We have discussed what would happen if we dropped the two-door version of the A3. I think we would barely lose any customers. We'd rather invest the money that is freed up in new models and other derivatives," Stadler said. A company source told Reuters that management would also reduce orders assigned to external development service providers and shift funds from that area towards electric cars, autonomous driving and digitalization. In addition, Stadler said fuel cell cars were a "must," though he said he could not yet say how large demand would be. "That is less a question of technology, we are already quite good at that. It's rather going to be a question of infrastructure," he said. Audi's technical development chief Stefan Knirsch told the Stuttgarter Zeitung in a separate interview published on Saturday that he expected Audi would not start serial production of a fuel cell car before 2020 because of the lack of charging stations.